Dr. Paulin, right, teaches a pediatric resident how to inset umbilical lines at Global Health Bootcamp in New York. New pediatric emergency medicine physician, Danielle Paulin, DO, MA is use to change, having lived in nearly 10 different cities over the past decade, and thrives in an environment that keeps pace with her interest in medicine. Perhaps that’s why she already feels right at home at Akron Children’s where she gets to care for kids with illnesses or injuries requiring immediate medical attention. A: I was a manager at Teresa’s Pizza and Arabica Coffee House when I was in high school and college and then worked as a chemist in graduate school. I think the decision to become a physician was a combination of my experiences in customer service and science. Pediatrics was never a question. 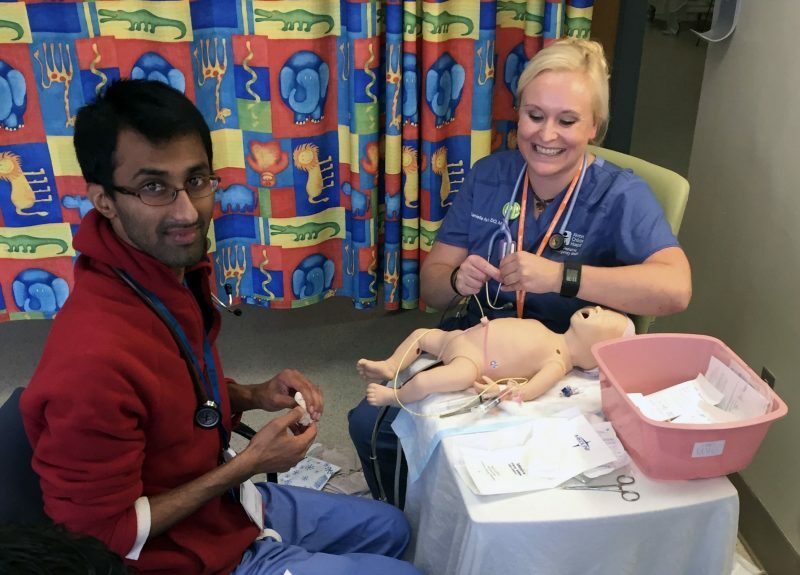 I chose emergency medicine because every day is different and you can positively affect a child’s life in a relatively short period of time. I chose pediatric emergency ultrasound as my area of focus because of my experiences in Haiti and the benefit of being able to dramatically change patient care right at the bedside. I also love to teach. In Latin, doctor means teacher. And, at the end of the day, your legacy as a physician is shown in the learners that you have taught along the way. 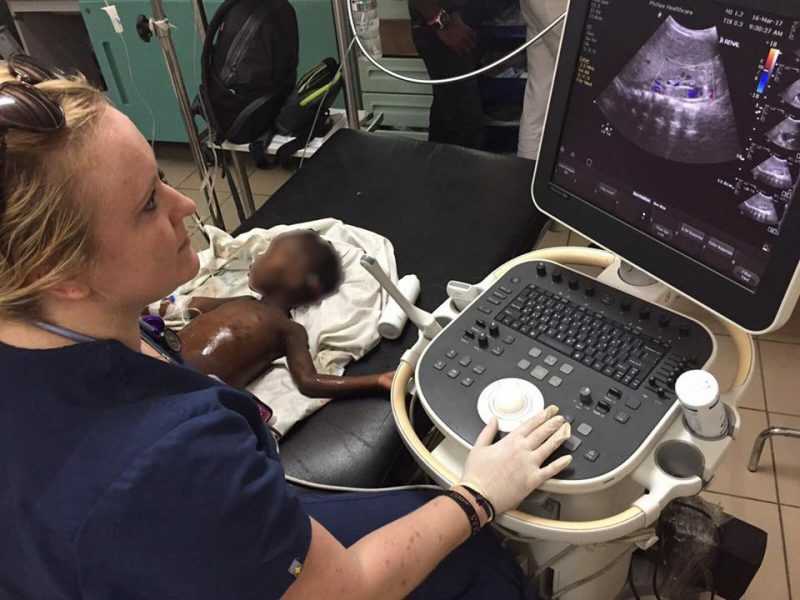 Dr. Paulin does an ultrasound on a toddler in Haiti. Q: If you were stranded on a deserted island, what 3 items would you bring with you and why? A: My favorite breakfast is scramblies (scrambled eggs) and tater tots from Kid’s Café. A: I listen to the Damien Rice on Pandora to help me fall asleep. 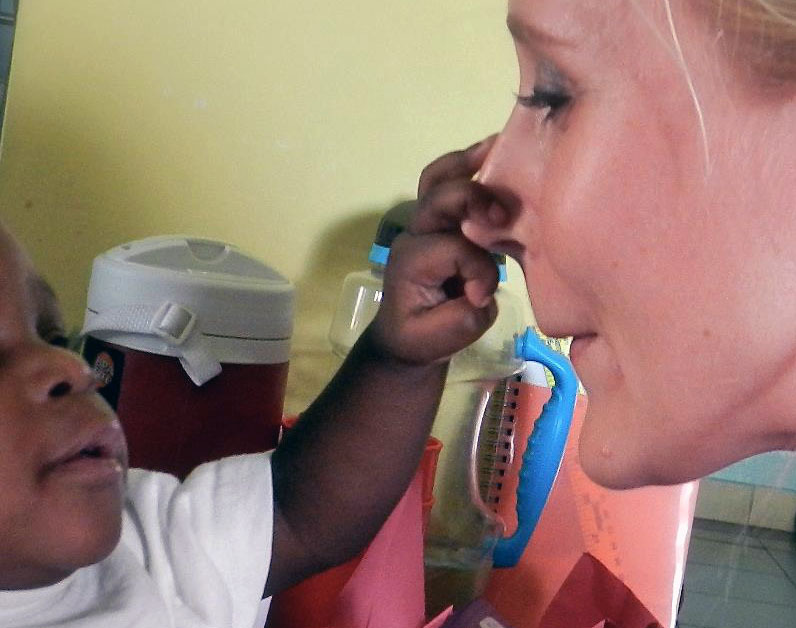 Dr. Paulin loved to clown around with children at St. Damien Pediatric Hospital in Haiti. A: “Leave and come back. It makes you more valuable.” Hence, I left for New York to work as an attending and complete my pediatric emergency ultrasound fellowship and then came back to Akron as the director of pediatric emergency ultrasound. A: I was born in Cleveland and moved to Aliquippa, PA when I was 1. I moved back to Ohio when I was 6 and my family settled in Sagamore Hills, where my parents still reside. I’ve moved over 7 times since high school, including Cleveland Heights, Shaker Heights, Mayfield Heights, Broadview Heights and Akron then moving out of state to Erie, PA and Long Island, NY. Now, I’ve finally settled in Tallmadge, OH with my 2 beagles, Abbott and Lucienne. Q: What’s your quote, mantra or personal slogan you live by? 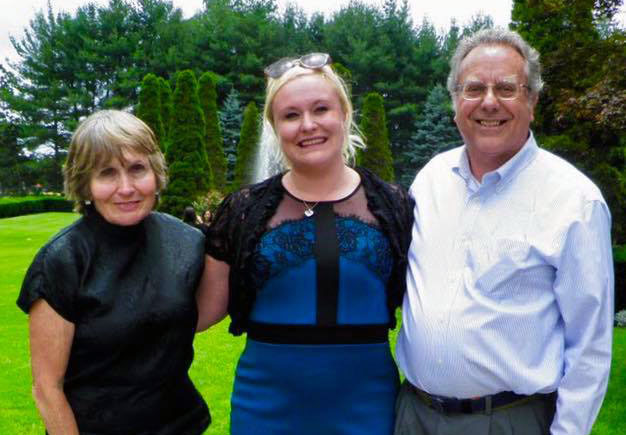 Dr. Paulin celebrates with her parents after the graduation ceremony in New York for her Pediatric Emergency Ultrasound Fellowship. A: I don’t think I have reached it yet. Despite graduating medical school, getting a master’s degree, finishing residency and two subspecialty fellowships, dedicating my time to Haiti and teaching ultrasound, my greatest achievement is yet to come. I am not done yet. Q: Do you have a special hobby, interest or a way you like to give back? A: I have been going to Saint Damien Hospital in Haiti for the past 6 years to volunteer, educate and offer support. It’s my home away from home. It cleanses my soul from all the first-world problems and brings me back to why I really wanted to go into medicine. A: Children’s is my second family. We work as a team in the Emergency Department where we celebrate the good times and support each other in the tough times. 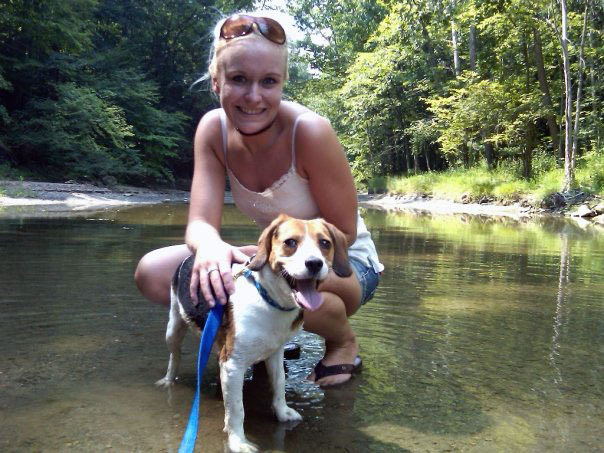 Dr. Paulin enjoyed spending quality time at the park with her beagle, Costello. He passed away in February.